I love living in London. There’s always something cool going on or something interesting to do, no matter what you’re interested in. I realized that obviously it’s the perfect setting for a book series and started wondering what series out there are based in London? I’m sure there are plenty more, but I came across this awesome sounding one God Save The Queen. Queen Victoria as a vampire? Current day steampunk? Werewolves, vampires and goblins? Comparisons to Seanan McGuire’s Toby Daye series? I need to get my hands on this book! 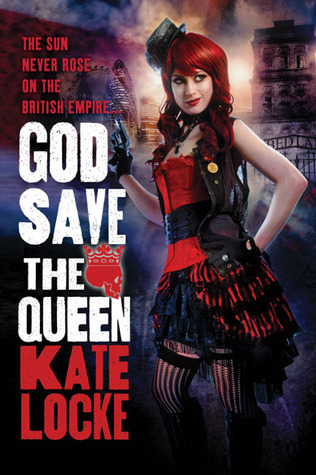 God Save The Queen by Kate Locke is the first book in the Immortal Empire Series. It’s available on Amazon.co.uk for £5.59 and on Amazon.com for $11.55.